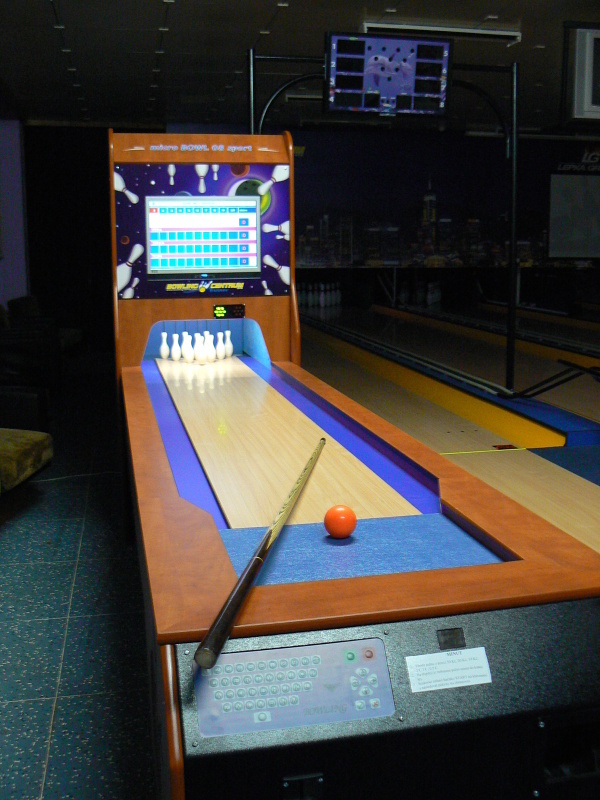 A ninepin is very similar to classic tenpin, as in both the games the player strives to score the highest pinfall as possible. However, there are several differences between both the games. 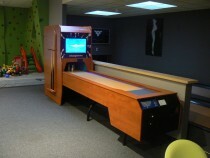 In the case of tenpin, there are 10 pins on the alley placed in the shape of a triangle, whose one point faces towards the player. 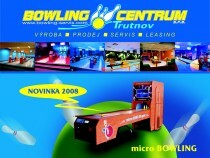 In ninepin there are only nine pins in the game, which are assembled into a diamond shape and the pins are bigger compared to the tenpin bowling pins. Also the bowling balls in tenpin are bigger than in ninepin and unlike ninepin bowling balls they have three holes. 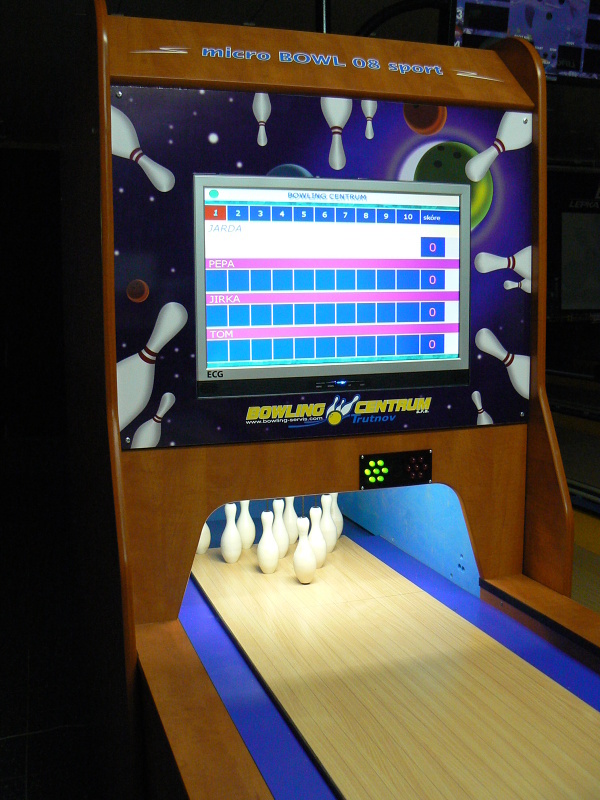 The bowling balls are made of polyurethane or reactive polyurethane with an eccentric core that will ensure that the ball thrown will not go directly on the alley, but during its movement it will deflect from the direct movement and more pins will be toppled. (Tt is, however, more difficult to release the pin during the throw in a way to reach the optimal deflection.) Although all the bowling pins have a strictly determined identical diameter, they vary in their weight compared to another. 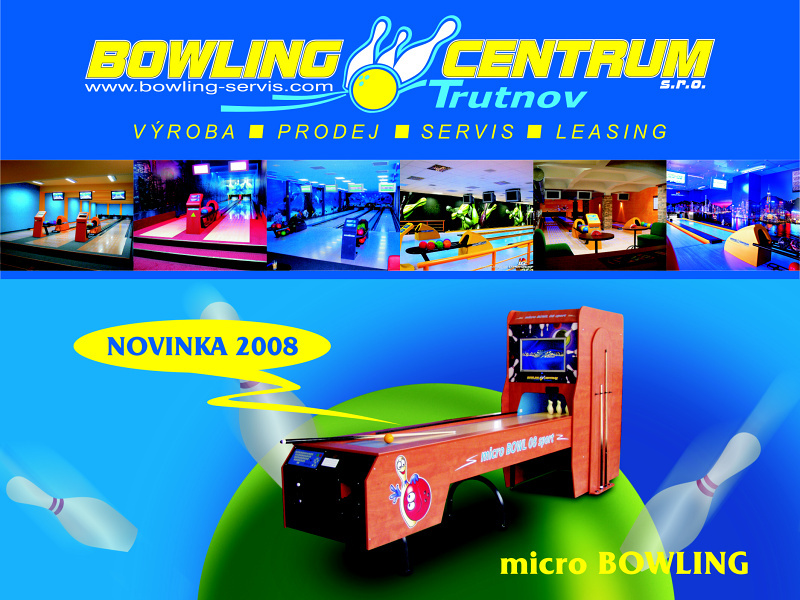 The tenpin ball has a diameter of 160 ± 0,5 mm, it is smooth, without holes and its weight is always within the range from 2,818 to 2,871 kg. The original wooden and or rubber balls were replaced by plastic ones even in this case. With regard to bigger size of balls as well as pins in case of ninepin bowling it is a lot easier to tumble all the pins with one throw. Tenpin differs from ninepin also in the game system. 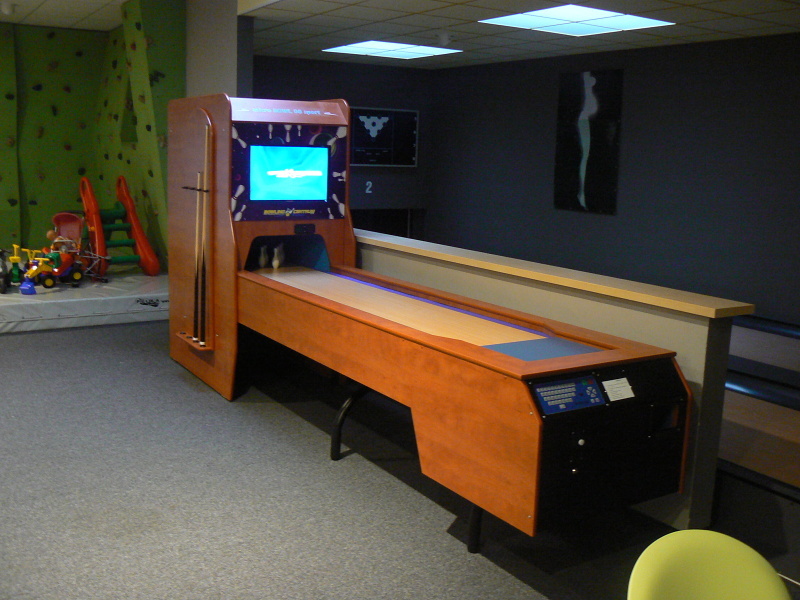 In case of tenpin only one player plays in the given alley and for so long until the player throws the determined number of throws - i.e. 25, 50, but sometimes even more. Contrary to that in ninepin the players take turns after one or two throws, thanks to which the game is more fast paced and is more thrilling, as the players are able to immediately compare their results with other opponents. Counting the knocked down pins also differs. While in tenpin only those pins that really fall down are counted, in ninepin it is possible to gain extra points for knocking down all the pins. End of citation.